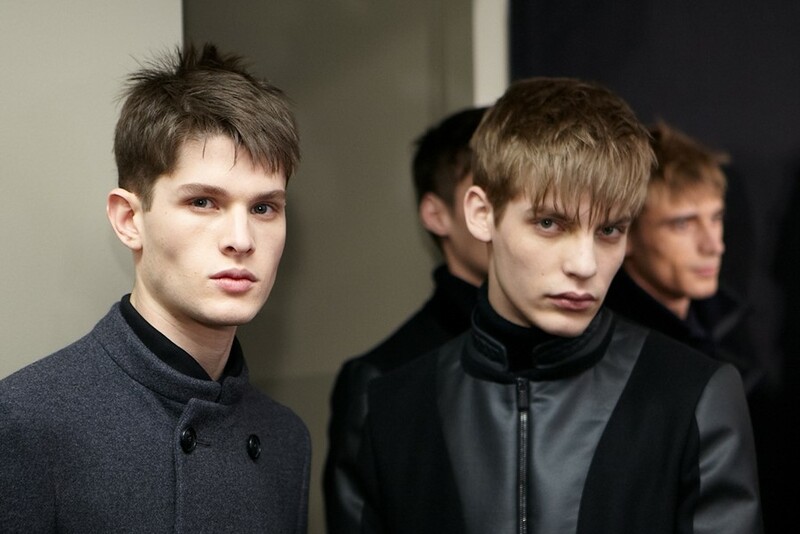 Autumn Winter 2012 marked a fairly dramatic departure for Tomas Maier and his Bottega Veneta crew. While keeping the luxe touches that made the brand a sartorial force to be reckoned with, Maier also injected some rock'n'roll attitude into his newest collection. Drainpipe jeans (often creased), Cuban heels and leather biker jackets - one of them in silver even! - added to the feeling of us going to a gig rather than watching a fashion show. But Maier started with his signature tailoring, adorning the jackets with circular and angular patterns in burgundy, navy and burnt orange. It's not a new story but one that Bottega does well; the unusual colour details make the excellent fabrics and precise cuts stick out even more, getting well-deserved nods of approval. Tomas Maier: I was inspired by lean, long and vertical silhouettes... I wanted to cleanse the palette. We also looked towards army and cavalry jackets for influences. Tomas Maier: Everyone wants to play an instrument, we're all frustrated musicians!